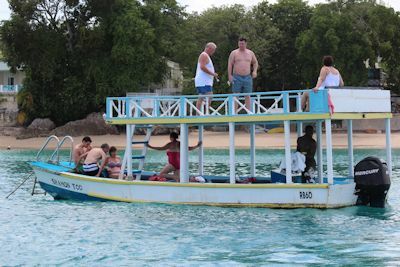 Westwater Adventures Barbados takes you on different unforgettable tours along the scenic west coast of Barbados on board the "Shamon Too", our specially designed glass bottom boat. Enjoy a relaxing boat cruise along the West Coast while viewing many colourful species of coral fish, plants and coral formations through the glass bottom of our boat. 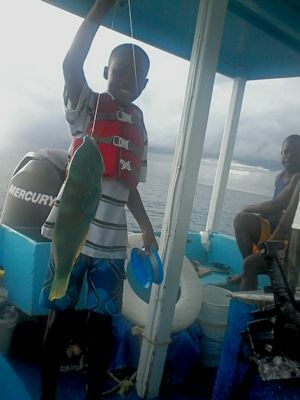 At various destinations, such as the shipwreck and sea turtle area, our experienced guides will instruct you in snorkelling and diving in the warm, turquoise waters of Barbados, where you can interact with exotic fish and feed our friendly hawksbill sea turtles that swim around you. The boat is anchored south of Folkestone Park, St James and each morning the boat goes to Folkestone Beach where the daily trips begin. for a quotation of our school tours to the shipwreck and turtles at a discounted rate! at an additional US$10.00 per person.